Due to the relatively small depth of Kilada bay, our company implemented a dredging project in front of the lifting / hoisting area in order to make the procedure of approaching the vessel easier. In essence it is a marine corridor measuring 500m in length, 40m in width and a depth of 4.2 m. which leads to the docks to the shipyard. This corridor is called "The Channel" and at the entrance there are a large green and a red buoy. The lifting and hoisting of the vessels at our shipyard take place in an area called "The Dock" which is the specially designed bowl shaped area where the Travel Lift is used to hoist or launch vessels. In other words it is the gateway to our Shipyard and it measures 21m in length, 9m in width and 4m in depth. Kilada is a small picturesque fishing village with a population of 1,500. It is situated on the southwestern edge of the Argolic Peninsula. 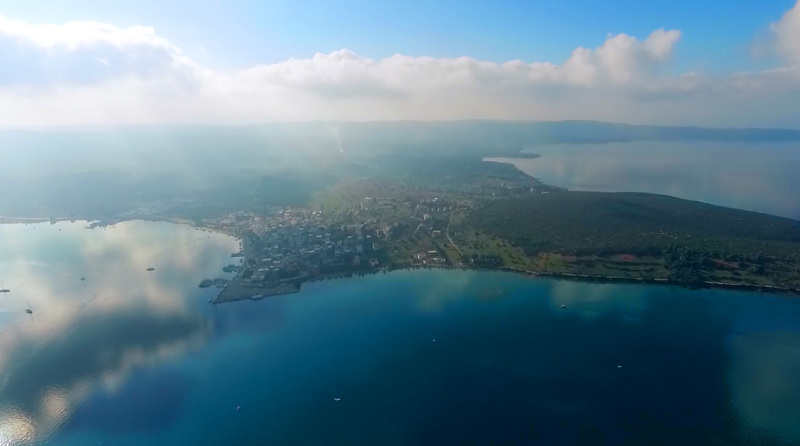 It is part of the municipality of Hermionida along with Kranidi, Ermioni, Portocheli and Didima. Fishing and tourism, which has boomed during the last few years, are the main sources of income for the inhabitants. During the summer months especially, Kilada bay is flooded by dozens of tourist boats. Owing to its geographical position and the morphology of the mountains in the area, the bay is considered to be an excellent nature reserve. The inhabitants, on their part, are welcoming and always eager to accommodate any visitor’s needs. At the renovated port of the village, boat owners can now have access to water and electricity and they can get supplies by visiting the local businesses.